Fatima Nafees, a resident of Badaun in Uttar Pradesh which goes to poll on April 23, said representatives of various parties visit her house but they only express "sympathy". "I am not looking for those who sympathise with me. I am only looking for those who will assure me that they will bring my son back. That is what I tell representatives of various parties who visit our house. I will cast my vote only for the party which assures me that. I have been appealing that its the BJP government which could not trace my son and people should not vote for it," she told PTI. "What is CBI doing, what are intelligence agencies for if they cannot trace an innocent child. What will they do for country's security?" Fatima Nafees said. "Water, electricity, other facilities, everything is secondary for us. We only want Najeeb," she said. "I did not go there to do any politics. I went there as a mother. 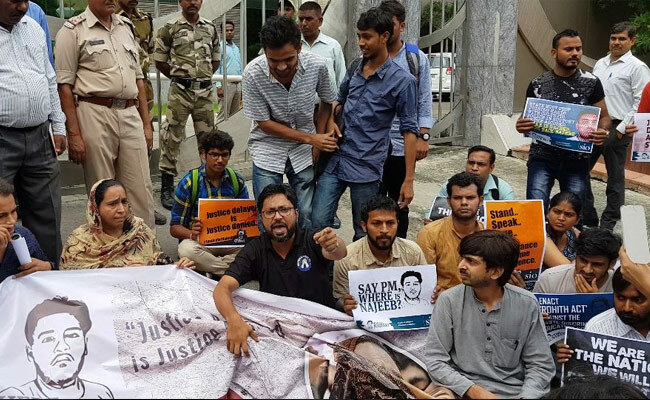 Kanhaiya stood by me as a son when Najeeb went missing, its time I stand by him as a mother. But blessings is all I have to offer," she said.